Farm Pathways is a whole-farm training and innovative land access program for beginning farmers in the Southern Appalachians. The Farm Pathways team consists of proud and committed allies to our local farmers. Together, our organizations are providing training, farmer-to- farmer networking and farmland access to help beginning farmers overcome obstacles to create successful agricultural enterprises. The US Dept. of Agriculture National Institute of Food and Agriculture’s Beginning Farmer and Rancher Development Program recently awarded a $600,000 grant over three years to continue development of this program. SAHC’s role in Farm Pathways involves expanding: (a) the Beginning Farmer Incubator at the SAHC Community Farm providing land, infrastructure, and equipment, along with support, training and coaching; (b) Farm Production Workshops Series; and (c) Farmland Access Service Buy-Protect-Farm Strategy to assure access to affordable farmland for beginning farmers. 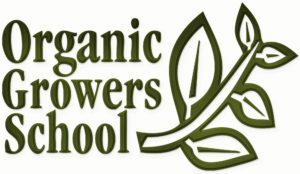 Organic Growers School is offering Farm Beginnings® Farmer Training, a year-long course, new to the Southeast, to promote practical, whole-farm business, financial, and marketing planning. They provide long-term, targeted mentorship & technical assistance for beginning famers through the Organic Farm Finder (OFF) and Collaborative Regional Alliance for Farmer Training (CRAFT) programs. WNC FarmLink connects farmers with farmland owners through land matching services, offering one-on-one consultations for both landowners and farm seekers. They also lead workshops helping beginning farmers negotiate equitable leases and prepare logistically and financially for long-term land access and purchase, a major obstacle for farmers starting out. Farm Pathways is supported by the National Institute of Food and Agriculture, U.S. Department of Agriculture, Beginning Farmer and Rancher Development Program under award number 2016-70017-25341 for Farm Pathways: Integrating Farmer Training with Land Access. Any opinions, findings, conclusions, or recommendations expressed in this publication are those of the author(s) and do not necessarily reflect the view of the U.S. Department of Agriculture.